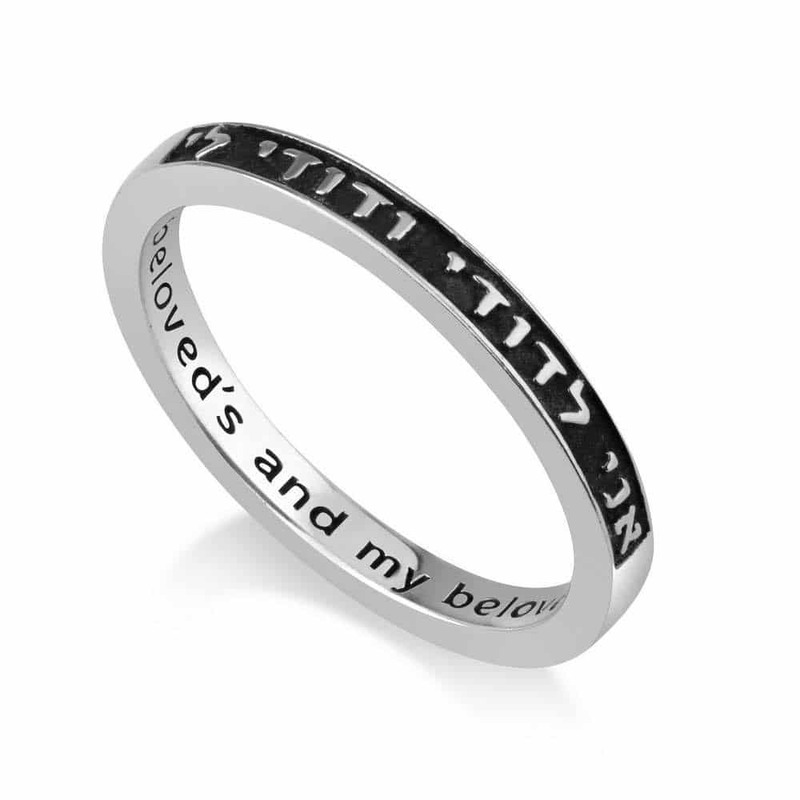 This special ring is elegant and unique and it features a black rectangle cut out on its front, with the Hebrew words embossed into it: Ani ledodi vedodi li. On the inside is engraved the English translation of the famous phrase: 'I am my beloved’s, and my beloved is mine'. 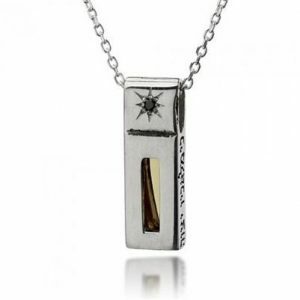 This special ring is elegant and unique and it features a black rectangle cut out on its front, with the Hebrew words embossed into it: Ani ledodi vedodi li. 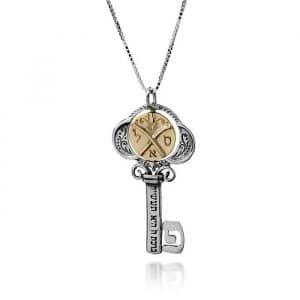 On the inside is engraved the English translation of the famous phrase: 'I am my beloved’s, and my beloved is mine'. 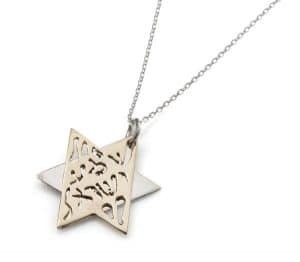 Would be a great way to express your good will and love as a gift. 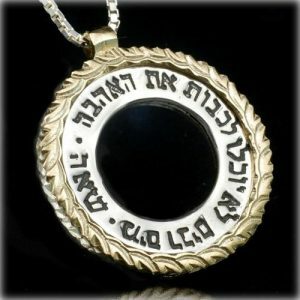 This special ring is elegant and unique and it features a black rectangle cut out on its front, with the Hebrew words embossed into it: Ani ledodi vedodi li. On the inside is engraved the English translation of the famous phrase: ‘I am my beloved’s, and my beloved is mine’. 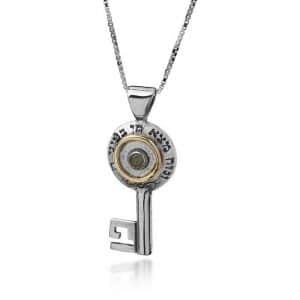 Would be a great way to express your good will and love as a gift.